Marshmallow Mouse Baby figure. The baby's head, hands and feet can be moved, allowing it to take on a number of different poses. 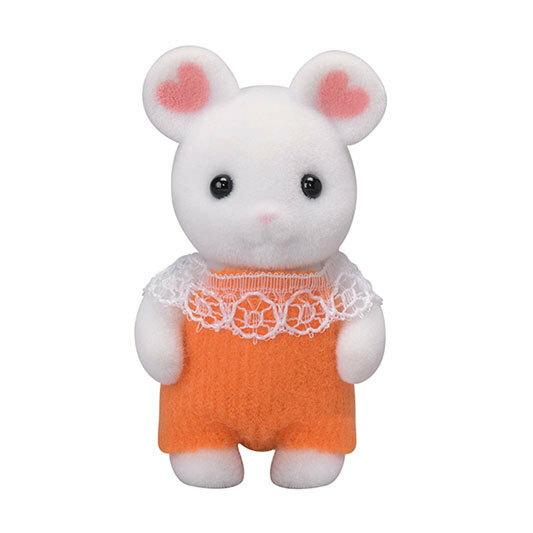 Marshmallow Mouse Baby is adorable, characterised by flower petal patterns on its ears. 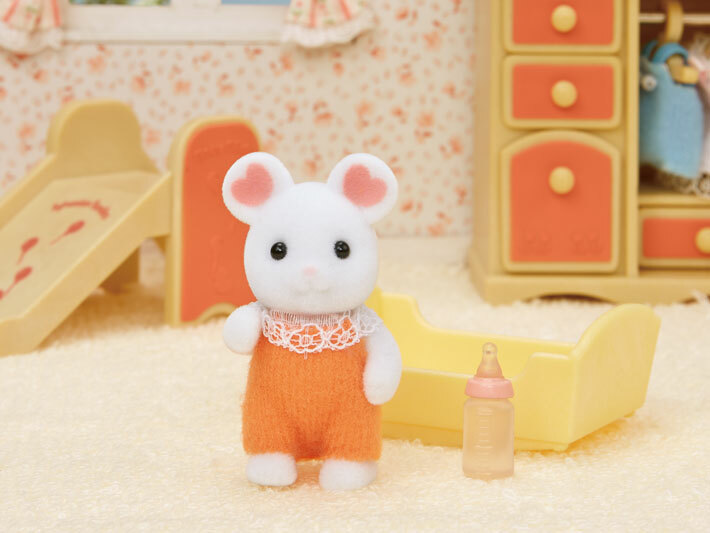 This tiny little baby is full of curiosity, always asking questions like "Why? ", "How come?" and questions even the grown-ups can't answer. Marshmallow Mouse Baby is very intrigued by the newly born set of triplets. 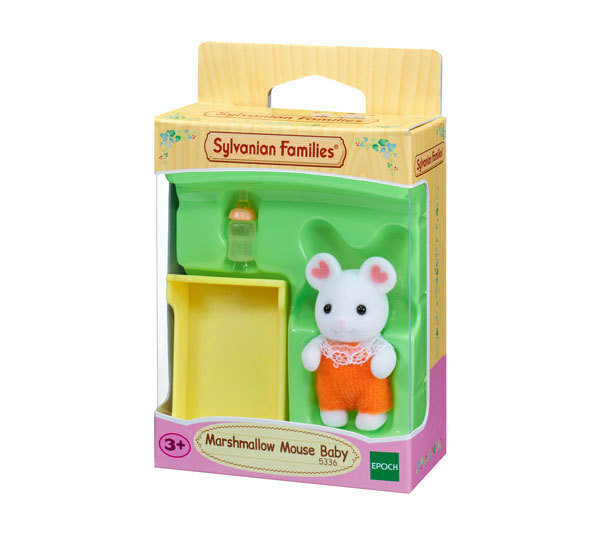 Marshmallow Mouse Baby often starts sentences with "my big brother..."
Have even more fun playing together with Marshmallow Mouse Family, and Mouse Triplets, and create a family of 8 (sold separately). Combining with other houses and furniture allows for even more enjoyable pretend play (sold separately).